We have our own 15000 square foot indoor storage facility here in Mallorca offering short or long term storage for tenders and day boats. The facility is dry, clean and secure with workshop services offering a complete package for winter storage. We arrange a turn key solution for your boat in storage. This includes transport to and from any destination on Mallorca or worldwide. We arrange the transport of the boat back to Mallorca, store it, maintain it, modify the boat should it be required and deliver it on the day you require completely ready to go. We deal with people who are serious about looking after their boats, crews or captains who understand the requirement to maintain their tenders to make sure that through their working season, they have the least problems possible. 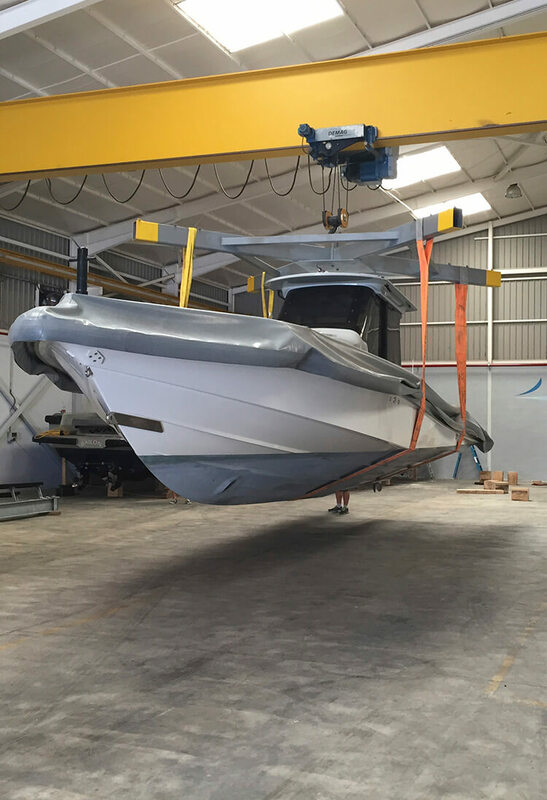 Winterisation of your boat before going into storage is a standard service provided. We run a checklist with you prior to your boat coming into storage for any winter works you would like done. A schedule and pricing for works to be carried out is mutually agreed and we will keep you up to date as per your requirement. We offer a back-up service whereby we can carry / stock any spares for you and should you require them sent anywhere to deal with small issues they will be despatched immediately via express courier to your destination. If your tender suffers a major breakdown or accident we can fly a specialist in to effect a full or temporary repair depending on the case. Where the tender requires major work we can repatriate the boat to our facilities and offer a temporary replacement whilst repairs are being done. If you require the tender for the rest of your season we can send the boat back to you as soon as work has been done.